Enriched with vast expertise, we have gained specialization in manufacturing and export of garment hangers, baba suit hangers, plastic colored hangers, frock hangers, plastic frame hangers that are available in various sizes, designs and colors. 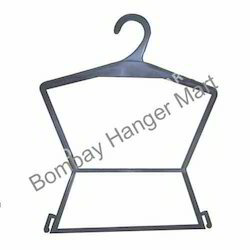 Fabricated using superior quality material, these garment hangers are highly strong and durable. Stylishly designed, our hangers can add attraction to your wardrobe and keep clothes in a well maintained manner. Further, we also have the facility to custom-design these hangers as per the specific demands of our clients. We have in store for our clients a vast array of plastic colored hangers that are widely used in various shops, malls and households. Our range of plastic colored hangers are made using high grade material and available in various colors and shapes. Further, we are also able to meet the customized requirements of our clients. 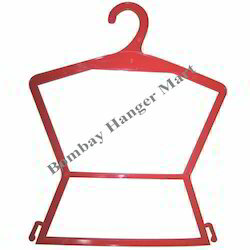 Keeping in mind the specific need of our clients, we have designed an exclusive range of frock hangers. Stylishly created, these hangers can easily hang the delicate suits and expensive apparels of women. Designed using premium quality raw material, our range is offered in various colors and sizes as per the requirements of our clients. We have in store for our clients a wide range of plastic frame hangers that are used in various shops, malls as well as households. These hangers are manufactured using high grade of material and are offered in various colors and shapes. We also meet customized requirements for our client’s benefit.